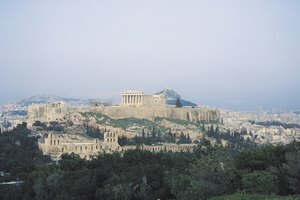 What Greek City-State Is Associated With Democracy? 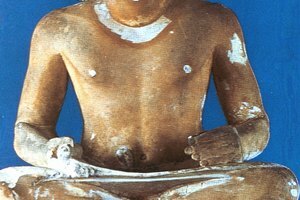 In Ancient Egypt, Who Were the Hyksos & Where Were They Located? Persia was unable to defeat the Greeks in the Greco-Persian War. The Greco-Persian War (500 B.C.- 448 B.C.) was a series of battles fought between the Greek city-states and the Persian Empire. The Persian Empire was much larger than the small Greek city-states and tried to conquer them several times during the decades of the Greco-Persian War. The Persians waged three major battles against the Greeks at Marathon, Thermopylae and Salamis, but ultimately failed to conquer them. In 545 B.C. the Achaemenid Empire in Persia conquered Ionia, a group of Greek cities off the coast of Asia Minor. These were self-governing states that had been operating in the area for centuries. Aristagoras, the ruler of the Ionian city Miletus, was unable to get military support from Athens or the other Greek city-states to fight against the powerful Persian army. The Ionian people began to rebel against their Persian conquerors in 499 B.C. after Darius I came to power in Persia. The Ionian leader Aristagoras was unable to secure support for the rebellion from King Cleomenes in Sparta, but convinced the Athenians to support him against the Persians. Persian troops defeated the Athenians and Ionians at Ephesus in 498 B.C. 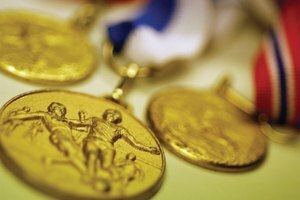 The Battle of Marathon was fought in 490 B.C. when Persian forces invaded the harbor of Marathon with more than 20,000 foot soldiers and 600 ships. Although they were vastly outnumbered, Athenian troops proved victorious in the Battle of Marathon, with only 192 deaths compared to 6,000 deaths on the Persian side. King Leonidas of Sparta led an alliance of Greek city-states to hold a narrow mountain passage called Thermoplyae against the massive Persian military in the Battle of Thermoplyae in 480 B.C. The Spartan king had an army of 7,100 men to fight an estimated 200,000 Persian troops. 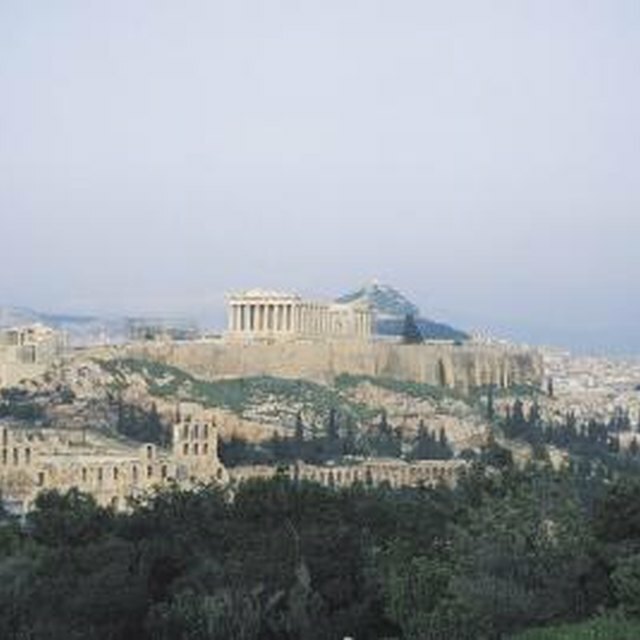 Leonidas' small army was able to use the mountain terrain to form a defensive fighting position, forcing the Persian troops into a frontal assault. This defensive position helped the Spartans hold off the Persian forces for three days, enabling the other Greek troops to survive and regroup. 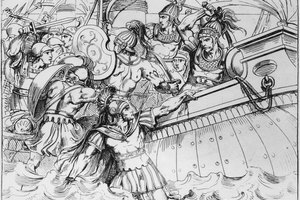 The Battle of Salamis was the decisive battle fought in September of 480 B.C. 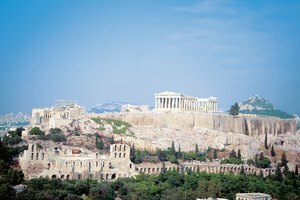 that allowed Greek civilization to persist without being taken over by the Persian Empire. More than 200 Persian ships were sunk in this battle, including one by the Persian Artemisia, who switched to the Greek side when he thought defeat was inevitable. What Kind of Techniques Did the French Use to Fight in WWI? What Were the Similarities & Differences Between the Aztecs & the Spanish? 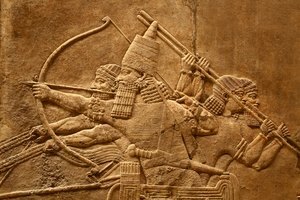 What Kinds of Weapons Did the Ancient Assyrians Use? Gabriel, Brian. "Facts on the Greco-Persian War." Synonym, https://classroom.synonym.com/grecopersian-war-6334.html. Accessed 23 April 2019.